Could Studded Eye Makeup Be The Edgiest Beauty Trend Of 2017? Home / Beauty / Make up / Is Studded Makeup The Edgiest Beauty Trend Of 2017 Or Ever? 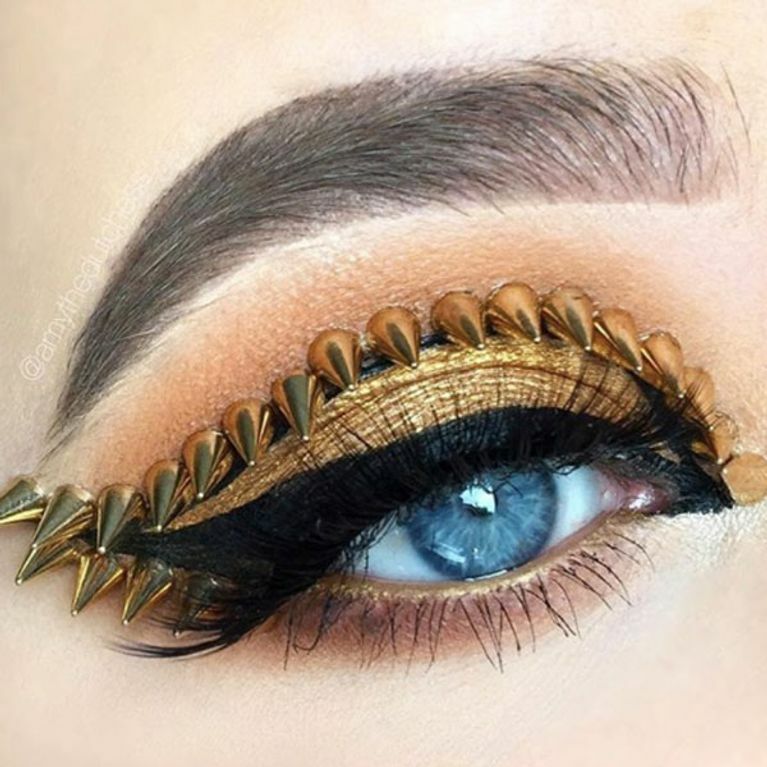 They say eyes are the window to the soul, so with that in mind why not stick some spikes on your lids and mesmerise everyone you meet? That's what the make-up artists of Instagram anyway, and where the 'gram goes we (attempt to) follow. 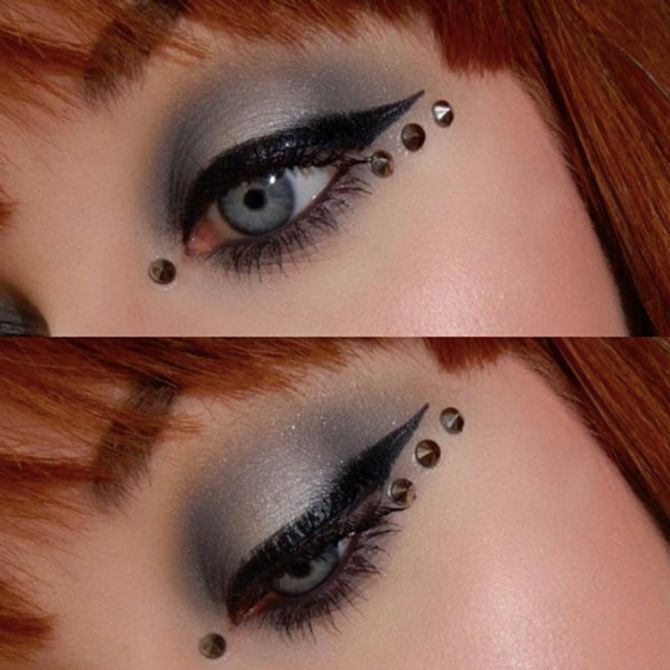 Studded eye makeup is here and we can't get enough. Forget the catwalk, Instagram is and probably always will be our greatest source of beauty inspo - mainly for trends so out there they're totally unaccessible to the average person but does that stop us wiling away the hours we're supposed to be working, poring over endless MUAs accounts? Oh hell no. @morphebrushes eyeshadow palette in "35R"
@nyxcosmetics / @nyxcosmeticsnl Matte Liquid liner in "Black"
Slide On eyepencil in "Jet Black" and "Glitzy Gold"
After blending the golden toned shadows across her lids and nailing the perfect winged liner, Amy made her peepers really pop with falsies. The decorative spikes are expertly placed along the lash line with tweezers and a very steady hand, then fixed in place with lash glue. That's not all, the microtrend has made its way up to our brows and down to our lips with many talented MUAs giving their two cents on this studded style.